Snoring, restless sleep, daytime fatigue...just a few signs that you may be suffering from sleep apnea. Here’s your chance to not just sleep better, but feel better every day. 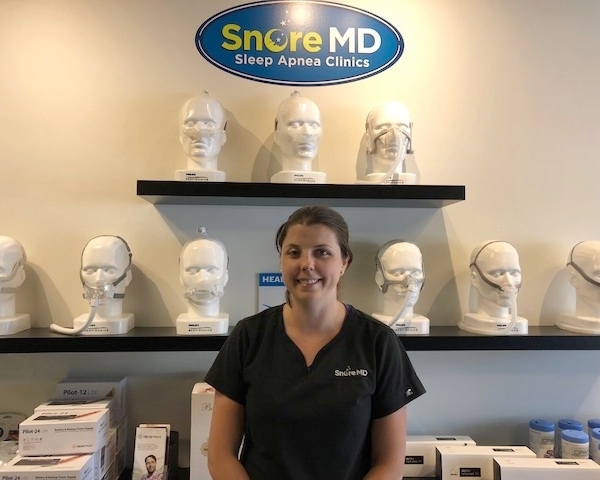 Welcome to Snore MD in Mission—a sleep clinic that provides unsurpassed care for a variety of sleep issues. We have opened our doors in Mission and couldn’t be more excited to be providing sleep solutions to the community. You may have reached out for help before, finding that other clinics are not very accessible—open only part-time with long wait lists. Snore MD is different—our sleep clinics are open six, sometimes seven, days a week. Need an evening appointment? Contact us and we can accommodate after-hour appointments. With no waitlists and no referral required, Snore MD Mission Sleep Apnea Clinic can usually accommodate same day appointments. This means that you can start getting the support and treatment you need right away. When you are a patient of our Mission sleep clinic, you’ll be cared for by a team of coordinators, Respiratory Therapists and Registered Nurses. Our team will provide on-going support for your sleep issues, even if they should change. Have questions? We’re here with answers. We partner with family doctors and other health professionals to deliver sleep solutions for every individual. We are part of your community, and you become a part of ours. I chose a career in sleep because I liked the idea of focusing on a specific area and state of the human body that generally, we spend or should be spending half of our lives in. We continue to learn more and more in this field and it's awesome to be a part of that education process. My biggest accomplishment in life to date is having the blessing of becoming a mom. It's been the biggest learning curve of our lives and couldn't imagine life otherwise. I love hearing the differences therapy has made in people's lives. Sometimes it's subtle, sometimes it's monumental - but it's great to be a small part of that change. Given how much time we spend asleep (or trying to sleep) it is surprising how little attention most people pay to the quality of their sleep and how it effects their overall health quality of life. My biggest accomplishment in life is the thriving furniture business my husband and I have built and our 2 wonderful boys. While building furniture is a passion for my husband, and I have been able to provide key assistance, my background is in healthcare. I’m proud that after many hard years of working towards this shared goal of ours, I am now able to focus on my own career. Witnessing first hand how therapy can dramatically change the quality of life, for not only our patients but for their family members, has had the greatest impact on me. It makes me excited everyday to see how significantly we are helping to change people’s lives for the better. I chose a career in Sleep Care as it is an incredibly overlooked part of our lives that makes such a big difference in the way we live! As I started learning more about OSA and the health affects that result from a poor nights sleep, I knew I wanted to be a part of a patient-focused company that strives to make everyday feel better for those in the community. By educating our patients on the importance of sleep care, I believe I am making a difference in my community. I love seeing how the knowledge and resources we have can help even the most skeptic patient feel more energetic and productive in their day by using CPAP therapy. I love hearing how rejuvenated and young our patients feel when working with us! My biggest accomplishment in life thus far is the growth and success of my Milestone Coaching business. I am a Transitional Coach that works with women in my community as they approach huge milestones in their life (such as marriage, motherhood and career change) and are looking for accountability, awareness and acceptance so they can move into this new stage with confidence! Just a few simple steps and you are on your way to a better night’s sleep. Visit our Mission sleep clinic and fill out a simple information form. Next step is to complete an at-home sleep test for two nights with the results reviewed by our clinicians. At that point, we will determine the best way to treat your sleep issues and whether you would benefit from CPAP Therapy (Continuous Positive Airway Pressure). We will continue to support you for as long as you need care and can adapt treatment to any changes that occur. Contact our Mission Sleep Apnea clinic today and experience Care for Life! 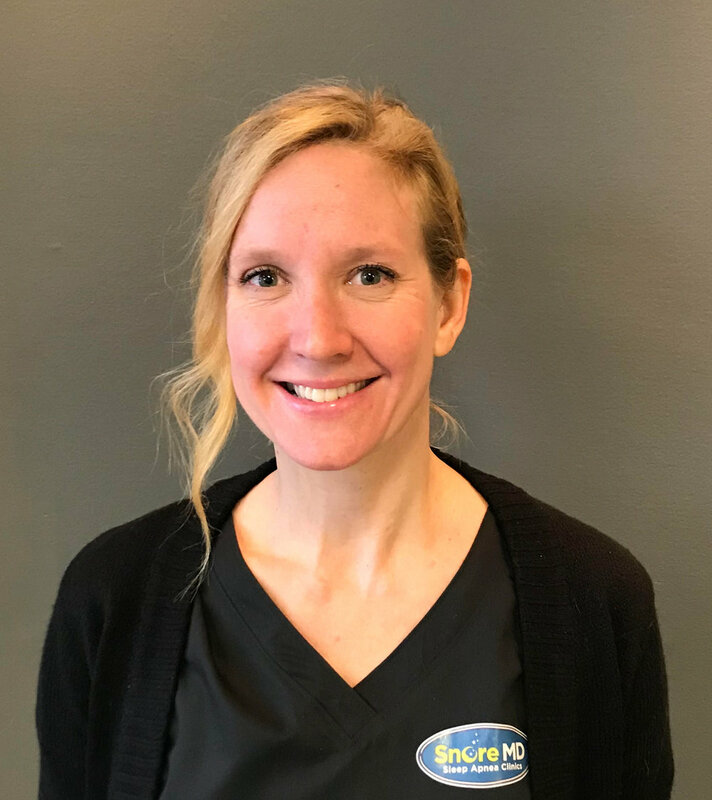 With 7 years of experience in the sleep industry, Dani is a veteran to sleep quality and care at Snore MD Mission sleep clinic. We took a moment to catch up with her over the phone and find out more about life at Snore MD!